Many people have been telling website owners that they should consider making their website responsive, which means that the website can change its display configuration based on the device in which it is being accessed. There have been many supporting arguments for responsive: higher click through rate, improved customer experience, better branding, etc. Barry Schwartz of Search Engine Land reported that Google is sending warnings to webmasters whose sites are not responsive. In the article, he also states that this could be a clear indication that Google is going to modify its algorithm to reward responsive websites – in other words, sites that are responsive will have a much better chance of appearing at the top of Google’s results pages. Why Would Google Do This? Is Google doing this because they want the Internet to be a better place? Probably not. The fact is that more people are searching the web using mobile devices than are using desktop computers. Google realizes that people who search on smart phones don’t like to go to websites that aren’t responsive, and will leave very quickly (a.k.a. “bounce”) when they access one. This could reflect poorly on Google, especially if other search engines deliver results that include more mobile-friendly sites. Take a look at the two websites below which were accessed via an iPhone. As you can see, the information on the responsive site is much easier to navigate and read. This will result in a better user experience and decrease the likelihood that someone will exit the site. 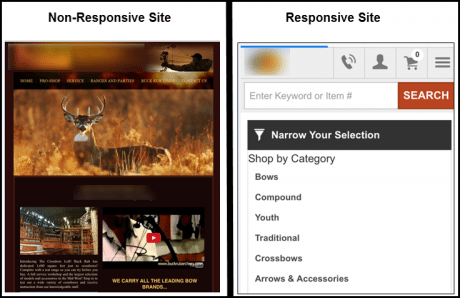 How Do You Know If Your Site Is Responsive? 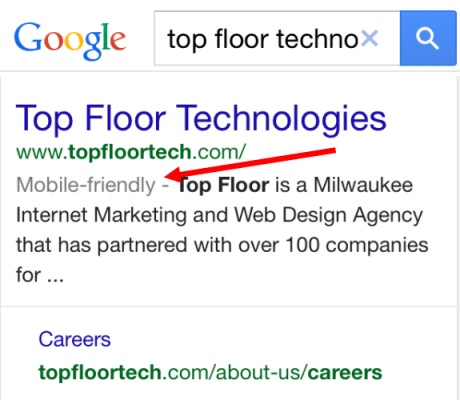 Google is notifying the owners of websites via Google Webmaster Tools and via email. However, many website owners may not get these notifications, either because they don’t have a Webmasters account or their website lists an outdated email address on their domain registration. 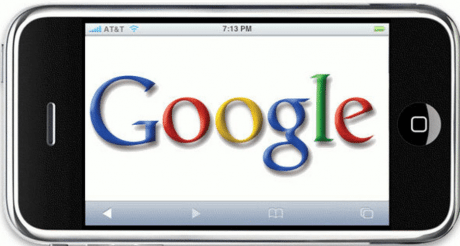 The best way to determine if your site is responsive or not – and therefore at risk of being harmed by a future Google update – is to do a Google search for your website on your phone. If your site is responsive, it will say so in the Google search results. How Soon Do I Need A Responsive Site? You may be asking yourself ‘how soon do I need to make my website responsive?’ The best answer is probably now. Google is already identifying in their results page which websites offer a better mobile experience. If you wait too long, you may be left behind for good.